This week, fashion and algorithms go hand in hand. As we sit down to decode the problem of not having enough handbags in our wardrobe, chalking them down would be a rather smart move. (c)- You are an unsatisfied little human being driven by thirst for all things fashionable. Whatever the reason might be, we have found another brand that has something to contribute to your little den of guilty purchases. Or might I say a humongous den. 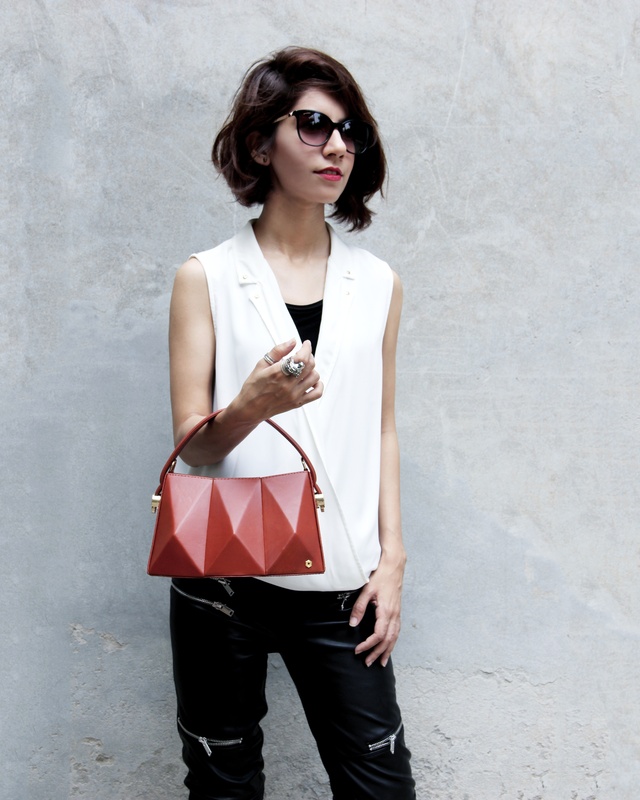 Breaking away from design rules that govern the fashion industry, Warp launched its first series of handbags named Hexella*. 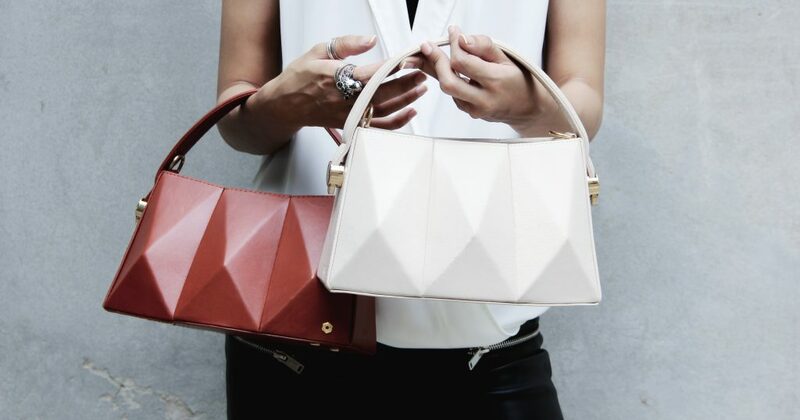 These bags are crafted out of beautiful leather. Using computer algorithms to design three-dimensional shapes, they are folded into two dimensional forms. *Hexella being an expression for a woman who is independent, bold and confident. Behind the company these two individuals Hirra and Naghmi started off in 2015. Out to make wearable accessories that follow an anti-fashion sentiment, these bags are made locally. 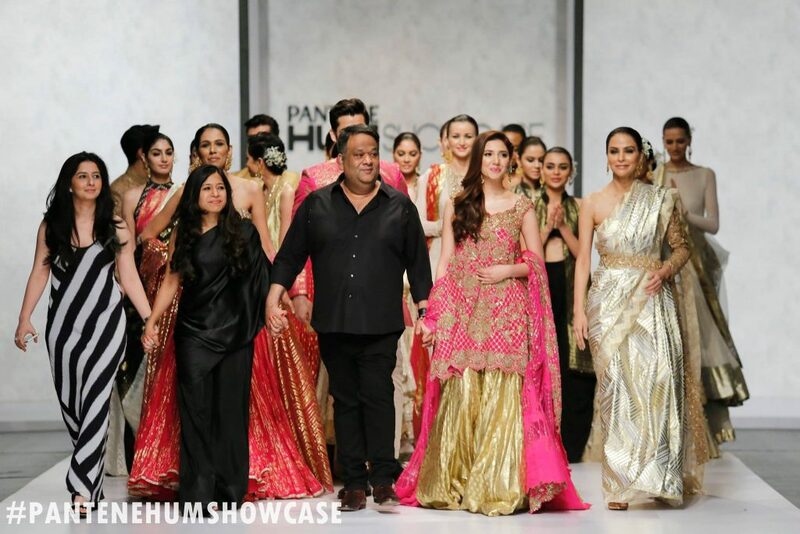 Taking their head start from Canada, they have participated in pop-up displays after which they decided to launch their first collection online. Check out their Instagram at @thewarp.io and their website www.thewarp.io for more of this goodness. Next article#TrendReport : Shoes of the Season!